If you’re struggling with debt, you may be able to dig yourself out of the hole by self-discipline and paying off debt with every free dollar you have. However, if you’re carrying a lot of debt, professional debt consolidation help may be the fastest and cheapest way to resolve your debt. When considering professional help you want to find the best type of debt consolidation for your situation and the best debt consolidation companies to work with. It’s also very important to remember that even if you find a good solution for getting out of debt, unless you address the reasons you accumulated debts, you’re likely to find yourself running up debt again. 1. 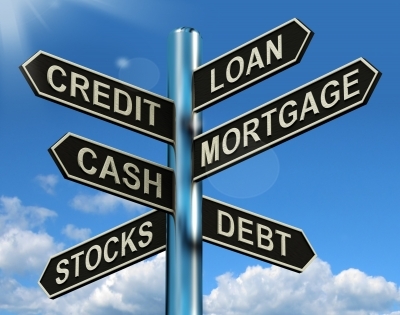 Cash-out Refinance: Consolidating debt through a cash-out refinance can be a great solution. 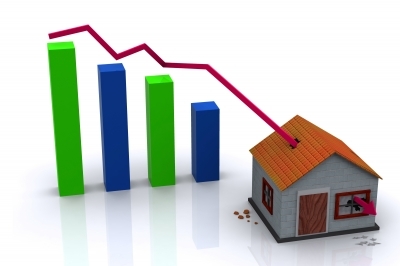 Interest rates are at historic lows, so a cash-out refi will lower your rate on most any debt you have. 2. Unsecured Personal Loan: Interest rates are higher, in general, for a loan that has no collateral. If your credit is excellent and the debt you wish to consolidate is high, however, you should check with banks, credit unions, and peer-to-peer lenders. On the other hand, if you don’t have a valuable asset to use as collateral and you don’t have strong credit, then you have to look for another solution. The following two options don’t really consolidate your debt, they consolidate your payment. Unlike the debt consolidation loans mentioned above, where your creditors are paid off and you have a new lender, in these programs you still owe your original creditors until you complete the program. Consumer Credit Counseling: Credit counseling works in two parts. First, your overall finances are analyzed and your budget is reviewed. If you don’t have a budget, your credit counselor will work with you to establish one. If high interest rates are one of your main problems or if you need a slight reduction in the size of your monthly debt payments, the program’s Debt Management Plan could benefit you greatly. Your one monthly program payment will speed up the time it takes to be debt free. Debt Settlement: Debt Settlement is a more aggressive form of “debt consolidation,”designed for people in a serious financial hardship. In a debt settlement program, you choose to stop making monthly payments to your creditors, to reach reduced, lump-sum settlements with them. Because you’re not making a monthly payment, your credit rating/score takes a big hit. However, debt settlement has lower costs than credit counseling. It gets you out of debt faster and at a lower cost than any way other than bankruptcy. The steps you need to take to find a reputable firm to help are similar, whether you’re consolidating debt from a strong position or a weak position. However, you need to exercise a higher degree of caution, when you are in a weak position. Unfortunately, predators come out to take advantage of those who need the most help. They know that a desperate person is likelier to let down his guard. 1. Look for accreditation- If you are looking at credit counseling, choose a firm that is a member of the National Federation of Credit Counseling (NFCC ). The best debt settlement companies are members of the American Fair Credit Council (AFCC). 2. Find out how long they’ve been business– Scammers tend to be fly-by-night firms. They are here today and gone tomorrow. it is a good sign when firms last a number of years. It also gives you a longer track-record on which to judge their performance. 3. Read your paperwork– It seems pretty obvious you should carefully read any agreement you might sign. Sadly, however, it is not uncommon for people to skip this important step, either due to the complex legalese used in agreements or out of sheer laziness. 4. Avoid advanced fees– Although professional debt consolidation will have fees associated with it, your fees should not be charged up-front. It is illegal for debt settlement firms that telemarket to charge fees upfront. 5. Avoid high-pressure sales tactics- Salespeople who employ high-pressure sales techniques do so because they are effective with some customers. Don’t be one of them. It is a red flag if signing up for the program is more important to the salesperson than it is to you. 6. Shop Around– No matter the product or industry, shopping around is smart. There is no better way for you to find the best fit for your goals than to speak to multiple companies. Not only can you compare costs, but hearing more than one presentation allows you to judge whether you’re receiving consistent information or if one company is over-promising.